Action Mesothelioma Day is held on annually on the first Friday in July and this year it fell on 6 July 2018. 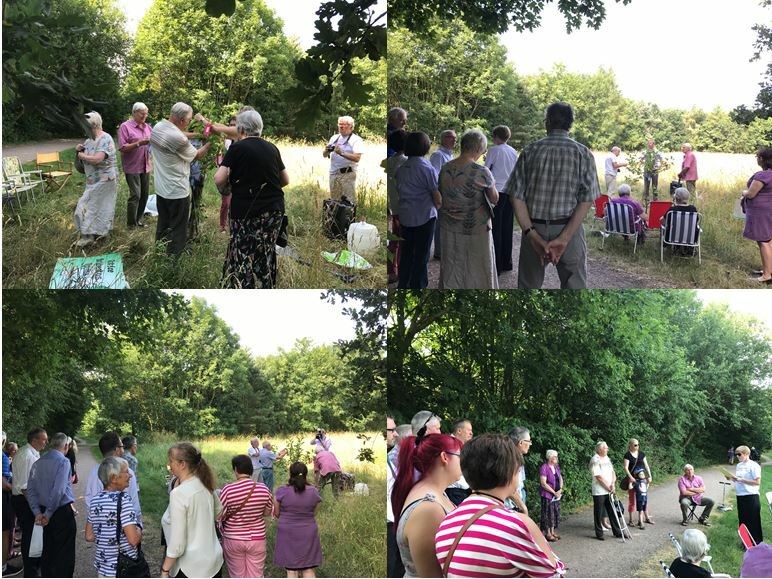 As part of plans to raise awareness on this day the Derbyshire Asbestos Support Team held a tree planting ceremony as the tree symbol has been used throughout Action Mesothelioma Day events as a message or memory tree. Mesothelioma is a rare form of cancer. In the UK the only known cause is exposure to asbestos. This disease has already cost thousands of lives and medical research predicts the 50,000 more people will develop the disease in the next 30 years. Every year events for Action Mesothelioma Day are held up and down the Country. The purpose of the day is to draw attention to the continuing danger of asbestos and to remember those who have lost their lives. Donations are raised for mesothelioma research.